A free collection of sport element cliparts are provided in high quality vector formats. It could be used conveniently and easily in sporting related graphics. Sport element cliparts contains equipment and tools which people play sports with. There are 3 basic categories under this collection, including balls, rackets, and several auxiliary tools like swimming glasses, fencing, boxing glove, and helmet etc. Edraw also offers users a set of drawing tool to create their own elements if built-in ones can not meet their requirements. Try this graphic design software with abundant clipart libraries. 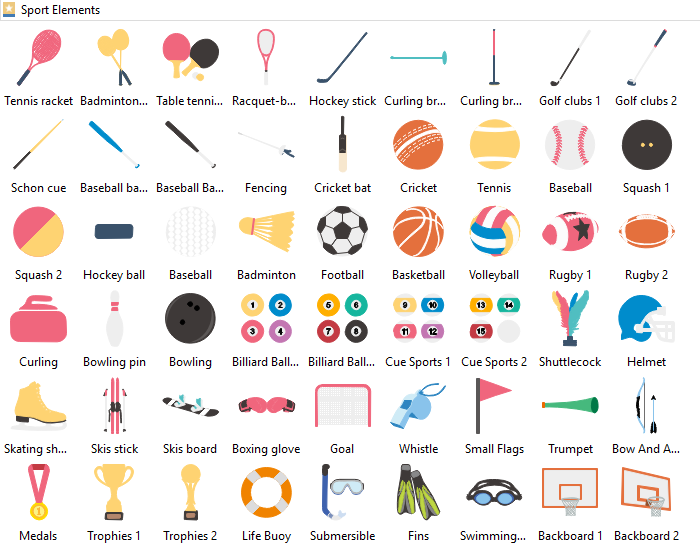 There are abundant sport element cliparts in Edraw clipart libraries. You can drag-and-drop them from clipart libraries and modifiy them with useful editing tools. 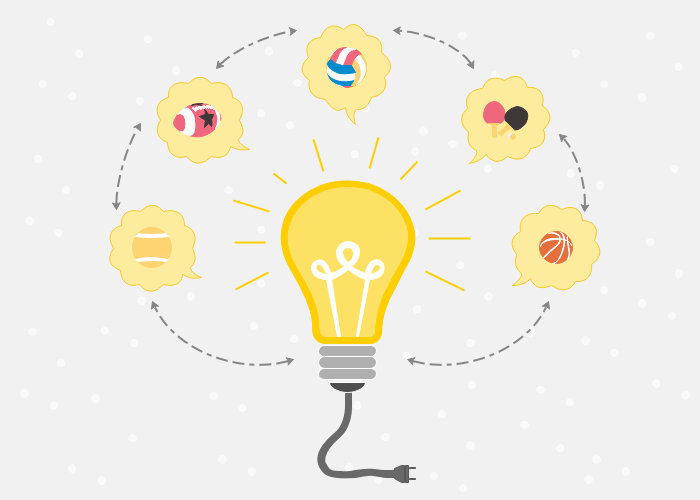 Below is a graphic with sport element cliparts for your reference. Have a trial of Edraw to design your own sports related graphics with this useful drawing tool.